An unexpected announcement in the Department of Energy’s FY20 budget proposal has some exciting news for efforts to advance new energy storage technologies, which not only allows us to save energy for later use, but can balance the power grid, reduce greenhouse gas emissions and benefit large sectors of the economy as well as the American consumer. At ClearPath, it is our belief that energy storage technologies have the potential to modernize the U.S. electricity system. Energy storage is an investment in the future of every clean energy source – from renewables to nuclear – supporting reliability and improving grid efficiency while reducing consumer costs. Across the country, utilities are deploying lithium ion batteries to meet some of its needs, but that technology has its limitations. As we forecast needs, it is clear the future grid will need a suite of different technology solutions that have not yet been commercialized. This is why the Department of Energy’s research, development, and demonstration (RD&D) programs are so important. Currently, energy storage R&D is spread out across the Department of Energy (DOE) in multiple offices from the Offices of Electricity (OE), Energy Efficiency Renewable Energy (EERE), Science (OS), and the Advanced Research Project Agency-Energy (ARPA-E), many of which primarily focus on transportation rather than grid-scale storage. 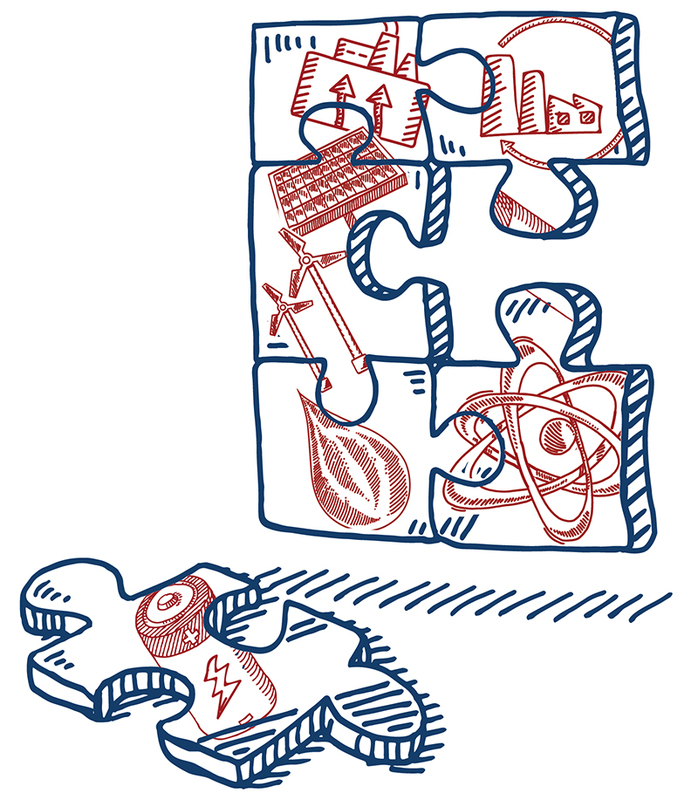 One of the more innovative proposals of the budget is the creation of a new “Advanced Energy Storage Initiative (AESI)”, a cross-cutting grid-scale storage RD&D collaboration across DOE’s Applied Research Offices, including OE, Nuclear Energy, Fossil Energy R&D, and EERE.1 The initiative sets “aggressive and achievable goals for cost competitive energy storage services,”2 through a coordinated strategy for aligning DOE R&D. AESI is unique in that it is intended to focus on all types of storage technologies, not just batteries, to rapidly develop systems capable of integrating with not only renewables, but also advanced fossil technologies and nuclear power. This is the exactly the type of collaborative “moonshot” like effort that brought technologies like hydraulic fracturing,the MRI machine, and more recently 6 cent per kilowatt-hour (kWh) solar to society. We know DOE has championed BIG goals in the past, which have helped accomplish viable technologies and instrumental tools in the energy industry today. These “moonshot” goals have changed the United States on a global stage. This is an opportunity to solve energy storage challenges, catalyze American technology and help reduce global emissions through the new AESI. 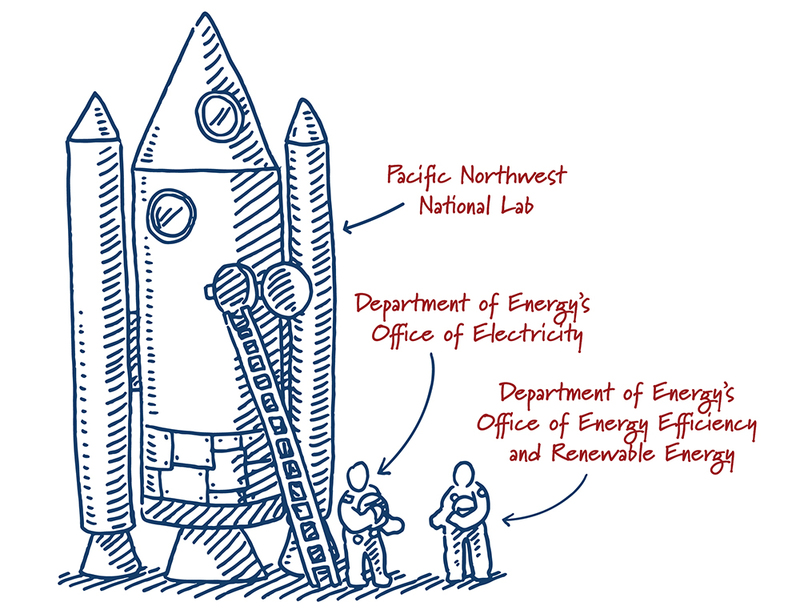 DOE’s budget proposal will also add a “launchpad” hosted at the Pacific Northwest National Lab (PNNL) focused on developing, testing and evaluating battery (and potentially other) materials and systems for grid applications. This “launchpad” will prototype systems and assist in performance testing for batteries. Initially, the effort will focus on demonstrating large format zinc manganese dioxide batteries with an energy density of 150Wh/L with a projected cell level costs below $100/kWh and the continued development of sodium batteries capable of achieving less than $100/kWh. These “on the ground” demonstrations are essential to scaling up battery technologies for grid-scale applications. While the focus appears to remain on batteries, the battery chemistries are becoming more varied – not just lithium-ion – and eyes systems with longer duration and regional diversity applications as well. To reach this full potential, DOE should ensure that the “launchpad” can expand its radius as storage technologies continue to evolve. The hope is that additional goals are create to expand technology types to drive innovation, reduce costs, and address real concerns surrounding longer duration or seasonal storage. New non-electrical energy storage projects will need to be tested for safety and developed for larger applications too. At first glance, the new PNNL launchpad syncs up well with the existing Duration Addition to electricitY Storage (DAYS) Program, started under ARPA-E last year, which focuses on long duration solutions. The DAYS Program initial grantees included some cutting-edge concepts that aim to store electricity from 10-100 hours, capabilities that could revolutionize grid operations. These two new initiatives will deepen grid-scale storage efforts, hopefully accelerating technological innovation that promises to bolster energy security, reliability, resilience and system flexibility.